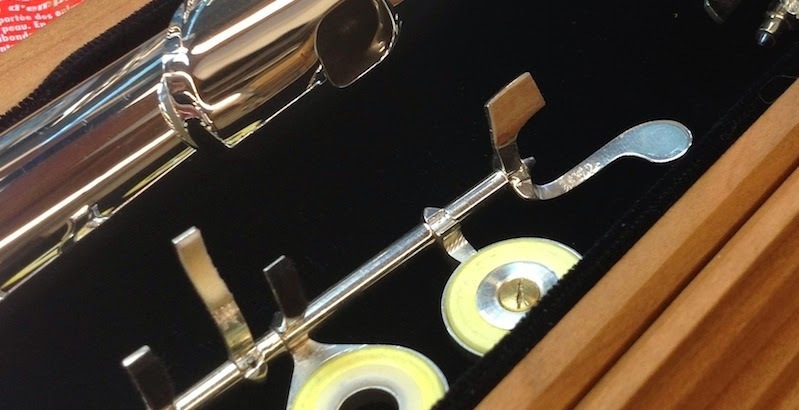 Repair My Flute: Pad "Life"
Have you ever wondered how long flute pads last? It may be surprising to some if pads need to be replaced during a COA, but try to think back... How long have the pads been in there? Have they reached their lifespan -- and what is the lifespan? We spoke with Powell Repair Technician, Rachel Baker, to find out just how long one should expect a pad to "live." She told us that on average, it's about 5 years for flute pads, and anything older than 6 or 7 years should really be replaced. Although there is no absolute guarantee for the lifespan of a pad, it is important to note that there are different "aging" factors in pads because of the difference in materials. For instance, felt pads have a cardboard backing, and Straubinger pads have a plastic backing. The plastic is more durable than the cardboard, so the Straubinger pads will last longer. Also, moisture will affect felt pads in a much greater way because felt pads are comprised of more "organic" materials. Rachel tells us moisture causes the felt and cardboard in a felt pad to shrink -- and it is also what causes them to smell "moldy" over time. Using the feeler gauge after repadding. However, there is one crucial "sign of aging" with pads that certainly determines when they need to be replaced -- resonance. Loss of resonance means it is time to replace the pad, and this is particularly true with Straubinger pads, which Rachel says, "are known for their crispness and resonance." She tells us that she had many customers who had pads replaced during a COA or overhaul and noted how much better their flutes played. As for piccolo pads, they don't wear out as often as flute pads. Why is this? Well, Rachel tell us that there are two main reasons: (1) piccolos are usually not played as much a flutes, and (2) piccolos have wooden tone holes that are softer than metal tone holes. She says piccolos also have some cork pads which will definitely last longer because they are made to handle moisture better. As we can see, pads will not last forever, but they do have a decent lifespan. 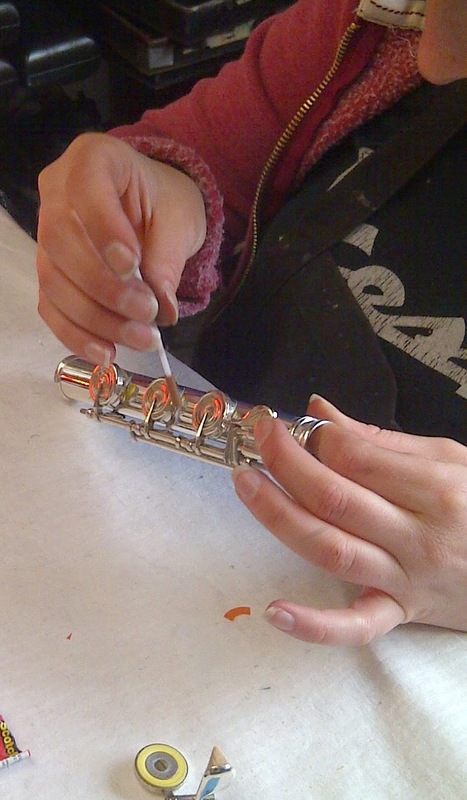 They can also make a world of difference to your flute. So if you get your flute back from repair, and your technician says s/he replaced some pads, see if you can tell the difference!